Namrata Chadha, of K&S Partners, a Tier 1 Indian law firm, discusses various crucial aspects relating to patenting of selection inventions in India, especially in pharmaceuticals and chemicals. Summary: The patenting of selection inventions is not plain sailing in India. The patentability of such inventions must be determined in accordance with the general provisions of the Indian Patents Act, as there is no separate provision for the same in the Act. Of the said general provisions, the assessment of inventive step and testing under section 3(d) of the Indian Patents Act can be perceived as the most critical to patentability of selected novel species. Additionally, the concepts of ‘implicit disclosure’ and the contrasting views on ‘coverage vs disclosure’ frequently makes it challenging for applicants to defend their novel selection under the Indian scenario. Given the lack of enough precedents in India on this aspect, to date the fate of selection patents depends mostly on the judgement of the patent controllers. Not all hope is lost, however, since not only the Indian Patent Office, but also the IPAB and higher Courts have time-and-again acknowledged the existence of selection patents in India. The category of ‘Selection patents’ pertains to inventions which are individually novel but selected from a group of a previously known class, and show some surprising or unexpected benefits over the prior art. Although selection patents are mostly seen for chemical species/ compound, selection may also be made from a numerical range such as temperature/pressure conditions in production methods. Different countries adopt different guidelines for patentability of selection inventions, although the basic criteria of patentability i.e., novelty, inventive step and industrial applicability remain the same worldwide. Further, the countries that allow patentability of selection inventions uniformly require the applicants to demonstrate that the selection is not arbitrary and the claimed selection results in an unexpected advantageous effect. Unlike countries such as in Europe, India does not have clear guidelines or directives for patenting selection inventions. This article assesses the historical, statutory and current position of selection patents in India and some of the decided cases on this aspect. Is Selection Patent a Statutory Miss? Maybe Not! Given the lack of a specific provision on selection inventions, guidance can only be sought from a handful of orders/judgments from Intellectual Property Appellate Board (IPAB) and Courts as well as some decisions issued by the Indian Patent Office in the past. Thus, the Bombay High Court did identify the concept of ‘selection patent’ but required that the selected members must possess an advantage peculiar to the selection. Whether there is any statement in the specification where the nature of the invention concerns with some kind of selection. Whether the selection is from a class of substances which is already generally known. Whether the selected substance is new. Whether the selection is a result of any research by human intervention and ingenuity opposed to mere verifications. Whether the selection is unexpected or unpredictable. Whether the selected substance possesses any unexpected and advantageous property. Thus, as per IPAB, an inventive selection of a new, unexpected, and advantageous single member from a known series of a genus can be accepted but the ‘seed’ of selection invention should be in the original specification itself. Section 3(d) of the Indian Patents Act and the concept of evergreening is one of the major barriers in the patenting of selection inventions in India. Evergreening is a predominant aspect of pharmaceutical patenting, whereby patent owners frequently try to extend the term of patent by filing artful patents on an already protected invention. Section 3(d) prevents evergreening by barring the patentability of new forms of known substances unless they show enhanced efficacy in comparison to the known substance. The ‘new forms’ could be salts, esters, ethers, polymorphs etc. as detailed in the ‘Explanation’ to section 3(d). The argument of evergreening becomes more predominant when the selection patent application is filed by the same applicant as the prior broader patent. Nevertheless, it is arguable that selection patents are valid even in the face of the argument of ‘evergreening of patents’. The Supreme Court of Canada’s observation in the case of Apotex Inc Vs Sanofi Synthelabo Canada Inc. 2008 is of high relevance in this context. The Court observed that “The inventor selects only a bit of the subject matter of the original genus patent because that bit does something better than and different from what was claimed in the genus patent…”. In this landmark decision, the Supreme Court gave considerable strength to selection patents by holding selection patents like any other type of patent in nature. Thus, the Supreme Court of India was not much inclined to accept the differences between ‘coverage’ and ‘disclosure’. The court observed that what is ‘covered’ by any specification should be considered as ‘disclosed’ therein. This frequently becomes complicated and troublesome for applicants when dealing with selected species in India as the applicants frequently wish to patent the non-enabled advantageous selection. Furthermore, section 3(d) sets a higher standard of inventive step in India whereby apart from establishing novelty and inventive step, it is also necessary to show that the claimed modifications show enhanced efficacy when compared to the known substance. In case of drugs, efficacy should be shown by way of ‘therapeutic efficacy’. Thus, the invention needs to meet the requirements of section 2(1)(j) as well as section 3(d). The Delhi High Court further reconfirmed this aspect in 2015 in the case of F Hoffman-La Roche v. Cipla Ltd., where the Court held that section 3 is not an exception to section 2(1)(j). Once the selected species is held to be novel (in absence of any ‘enabling disclosure’), patentability under section 3(d) must be established, as the selected species can still be considered as a new form of the structurally closest enabled species of the prior art. While the inventive step of a selected species may be established by demonstrating physico-chemical improvements, for section 3(d) it is essential to show enhanced efficacy (therapeutic efficacy for chemicals/drugs/medicines) of this selection over the prior art. Having seen the stand of higher courts and IPAB for selection inventions, it is also important to look at the perspective of Indian Patent Office in this regard. It is imperative to note here that despite the absence of any specific provision in the Act, the patent office has never denied the existence and patentability of selection inventions in entirety. Further, the guidelines on patentability of pharmaceutical inventions in India were issued by the Indian Patent Office in 2014. While these guidelines do not discuss the concept of selection inventions exhaustively, but they do recognize that the pharmaceutical inventions contain claims related to selection inventions (relating to product and process). Further, while detailing the ways of assessing novelty, these guidelines reconfirm that a generic disclosure does not take away novelty of a specific disclosure. At the same time, the guidelines also provide a second example whereby a fumaric acid salt of a compound is an implicit disclosure when the prior art enables only methane sulfonic acid salt but discloses fumaric acid amongst a laundry list of salt forming acids. Thus, although the Guidelines have acknowledged that a generic disclosure may not specifically take the novelty of the specific disclosure, at the same time, it also states that the lack of novelty should not be implicit in the prior art. The table below shows some approaches adopted by Indian controllers in deciding on patent applications involving selection from a prior art genus. 1. 194/DELNP/2009 Granted Though the concept of selection invention was not discussed in strict sense, the specific compounds falling within the generic disclosure of prior art were allowed once the unexpected effect was demonstrated. 2. 2784/CHENP/2007 Refused Although the existence of selection invention was acknowledged by the controller, application was rejected on the basis that no unexpected property of the compound was demonstrated. 3. 1879/KOLNP/2009 Granted Application was allowed after improved/ unexpected activity of claimed specific compounds over the generic prior art compounds demonstrated. 5. 841/DEL/1996 Refused Although novelty was acknowledged, the application was rejected on lack of inventive step and section 3(d). The controller specifically cited the absence of conclusive evidence regarding the technical advancement and implicit and motivating disclosure of the claimed compounds within the prior art as the reasons for his conclusion. Clearly, a selected species was considered as eligible for protection if shown to have surprising/unexpected property. At the same time, however, importance was also given to implicit disclosure, such that even if the specific compounds disclosed do not take away the novelty of the compounds in question, generic disclosure in the prior art was still cited as ‘motivating disclosure’ for the assessment of inventive step. Given the contradictory views of the Indian Patent Office, these principles can only be judged on case to case basis. It follows from the above that in general, for protecting a selection invention in India, the selection should not only be novel but also result in an unexpected and advantageous effect. The selection should be a result of inventive ingenuity and not mere verification or optimization. Further, the selected species must pass the combined test of inventive step and section 3(d). That said, there are polarized views about the differences between ‘disclosure vs coverage’. One view being that there is a difference between ‘disclosure’ and ‘claimed subject matter’. A subject matter which is merely embraced by patent claims, but not specifically disclosed in the prior art can still be validly claimed as a selection invention. The other view contends that the doctrine of ‘enabling disclosure’ cannot be read into the Indian Patents Act. 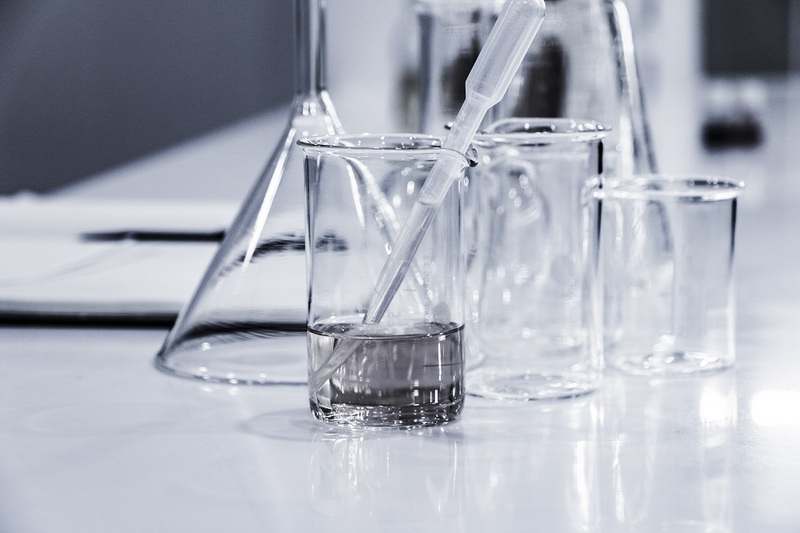 The Guidelines on pharmaceutical inventions issued by the Indian Patent Office after the Supreme Court of India’s judgement in Novartis’ Imatinib case also do provide some indication that selection inventions are not viewed strictly as black or white in India. Apart from the above-stated limited guidance, applicants can also rely on numerous judgments and literature available for selection inventions under the European laws, which have clear guidance on criteria for assessing such inventions. Although the foreign judgements are not binding on Indian judiciary, they are definitely persuasive and help in shaping up a stronger case. Having said the above, the concept of selection inventions is yet to be tested and interpreted by higher courts and till then, the patentability of selection inventions in India remains debatable. Thus, amid the cloudy scenario, there is hope that although there are no statutory provisions in the Indian Patents Act dealing specifically with selection patent, India does not put a strict bar to the protection of such inventions. A partner with K&S Partners, an IP boutique firm in India, Namrata Chadha represents clients primarily in chemistry and pharmaceutical patent matters in both contentious and non-contentious proceedings. Link to full bio is here. Author’s disclaimer: This disclaimer informs readers that the views, thoughts, and opinions expressed in the text belong solely to the author, and not necessarily reflect the position or policy of the author’s employer, organization, committee or other group or individual. "The Bumpy Road To Selection Patents In India" by Intellectual Property Watch is licensed under a Creative Commons Attribution-NonCommercial-ShareAlike 4.0 International License.